Home Blog Blogger How to How to sign up for blogger and create a website. 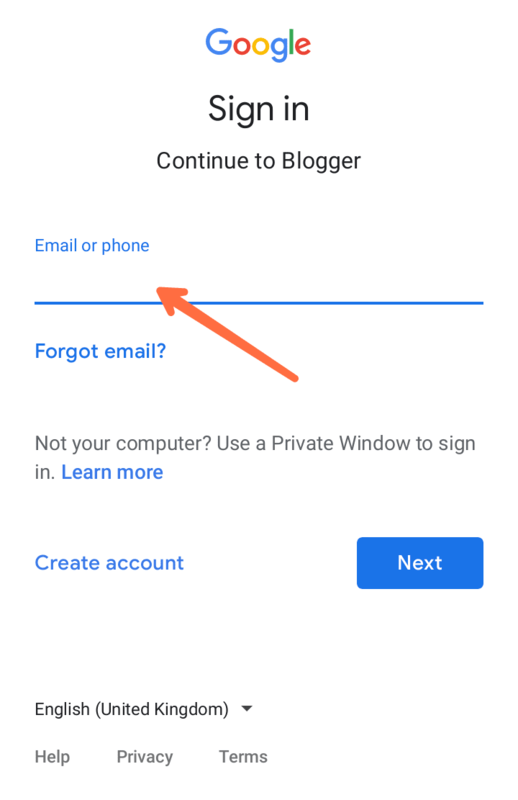 How to sign up for blogger and create a website. Nowadays, everyone starts using Internet and everyone wants to learn from Internet and wants to do something different with the help of digital media. Everyone wants to express their knowledge to everyone and for this purpose we gonna create our own blog for our interest and passion. And for this purpose everyone have many kind of myths about blogging and creating a blog. To create blog you didn't need any kind of knowledge about coding and scripting. Btw, A 15 years old guy can create best blog with any coding language. 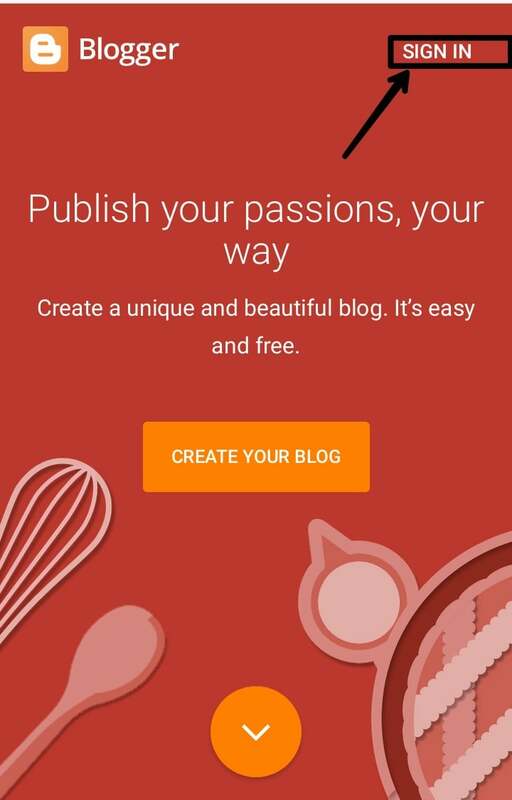 And If you are beginner and want to create a blog and Website for your interest then you gonna find this correct article. Now, these are the top listed platforms for blogging. For beginners , first of all i only recommend beginners to go with the blogger which is a free product by a Google. And Hosting is a space where your website or blog's files base been stored. 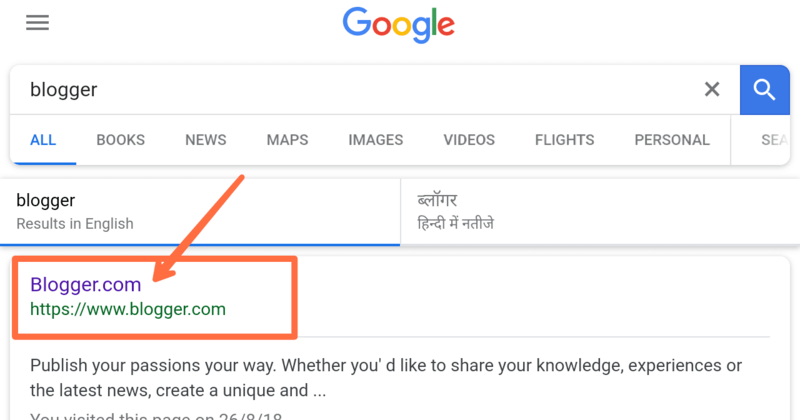 But in the case of blogger we do not need any kind of domain name and hosting but we can add our own short domain name according to our need but hosting is effectively free in blogger, we didn't need any third party hosting host our blog in blogger. 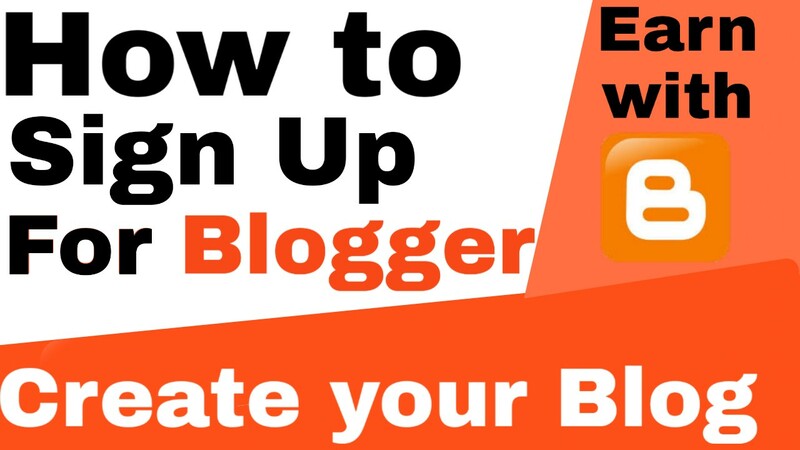 Step 1:- Go to your browser and search blogger.com in google. 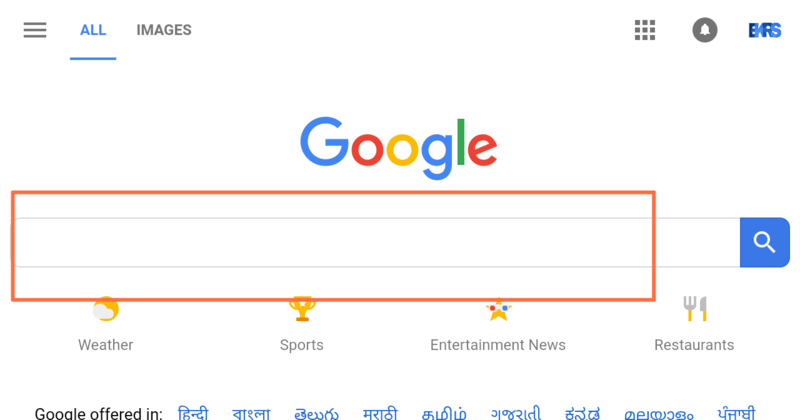 Step 2:- Now Click on the first URL on the Google search results. 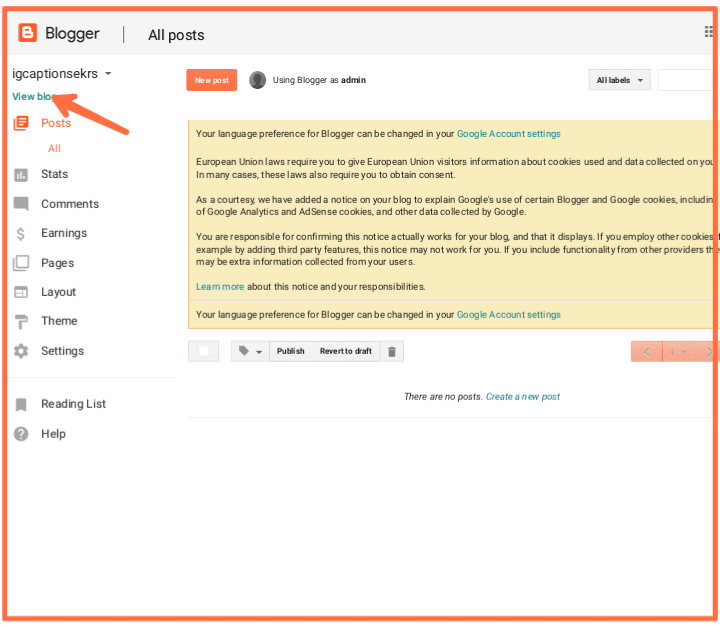 Step 3:- Now, Blogger window has been opened on your screen and just click on sign in. 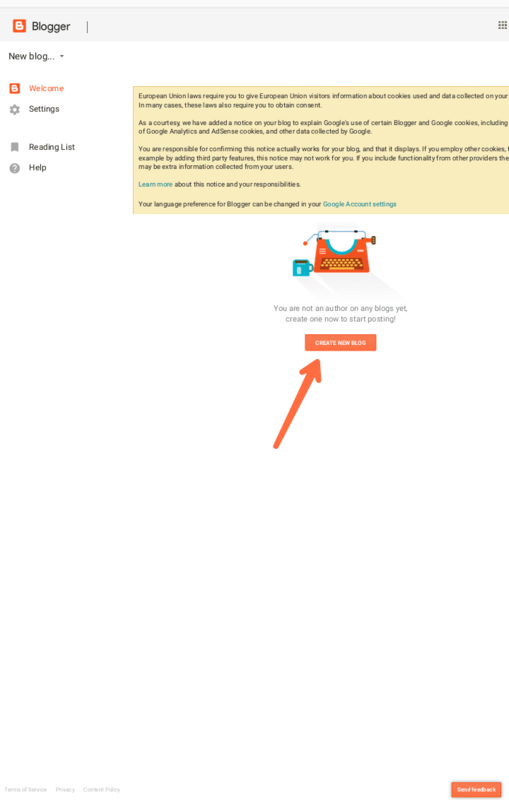 Step 4:- After Clicking on sign in you have to enter your gmail I'd and password. 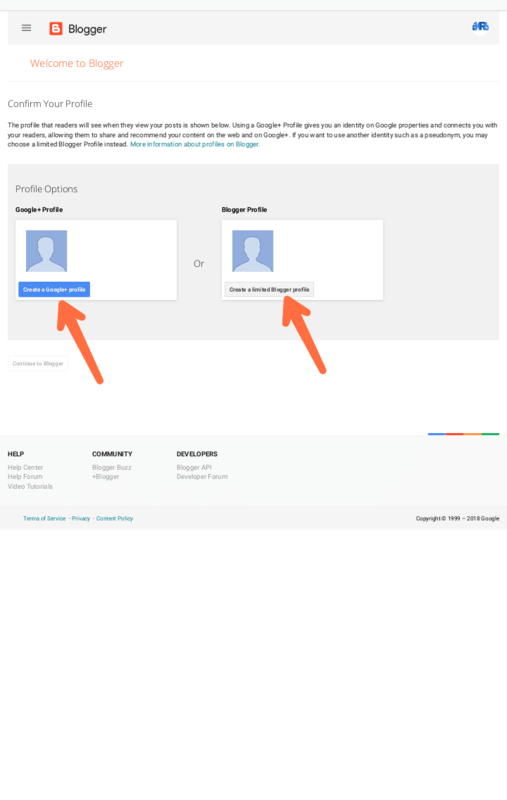 Step 5:- Now if you have a Google Plus ID then you didn't need to create it and just click on blogger limited profile as shown in image below. Step 6:- Now, here you have to enter your name and click continue. 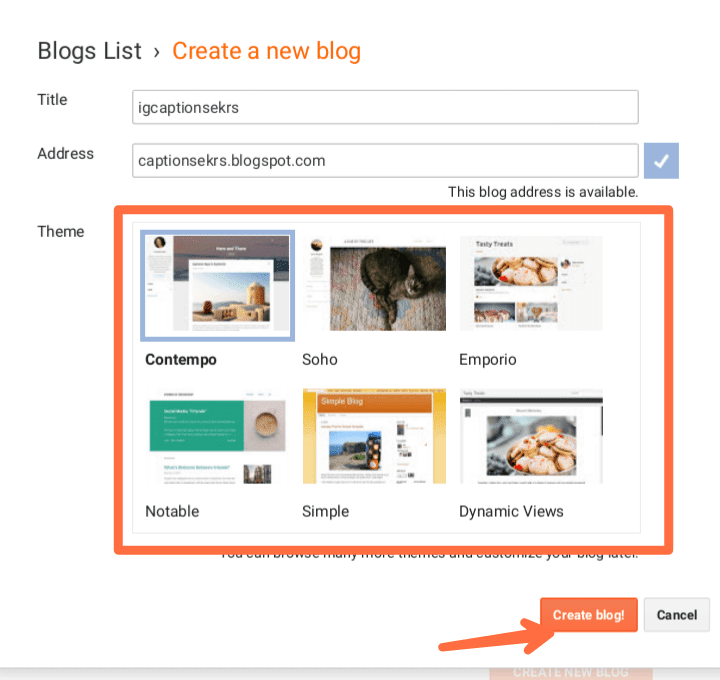 Step 7:- Now, you are just one step away from your blog and just click on create new blog. 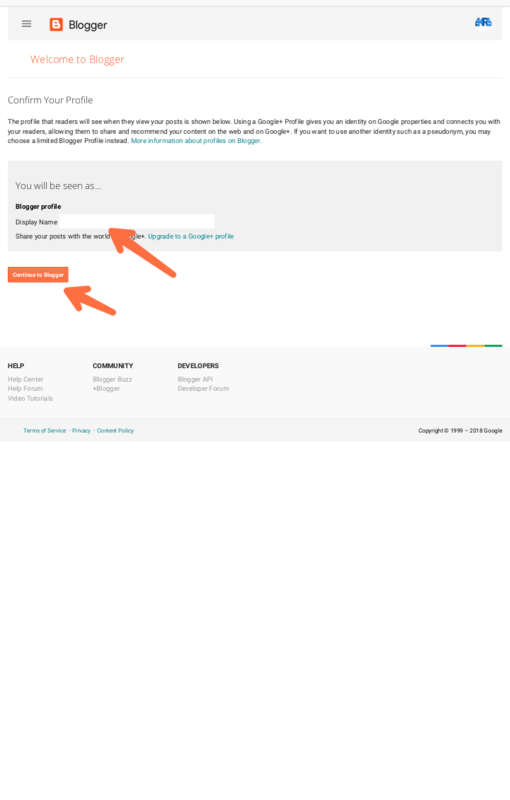 Step 9:- After selecting address and title select any theme below you like the most and then click on create blog. And yass! 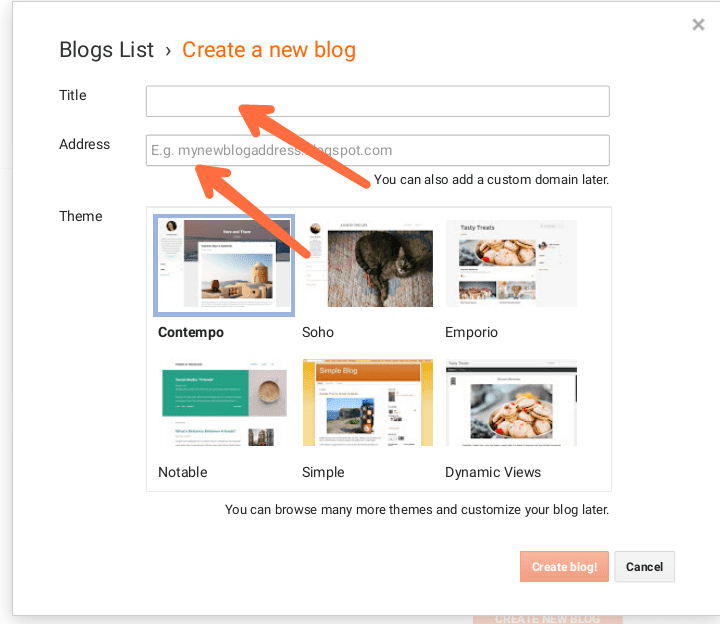 you created your first blog which is showing like this but don't worry you can fully customize your blog and make it professional which we teach you in upcoming articles. copyright© 2018 ekrs - All Rights Reserved.